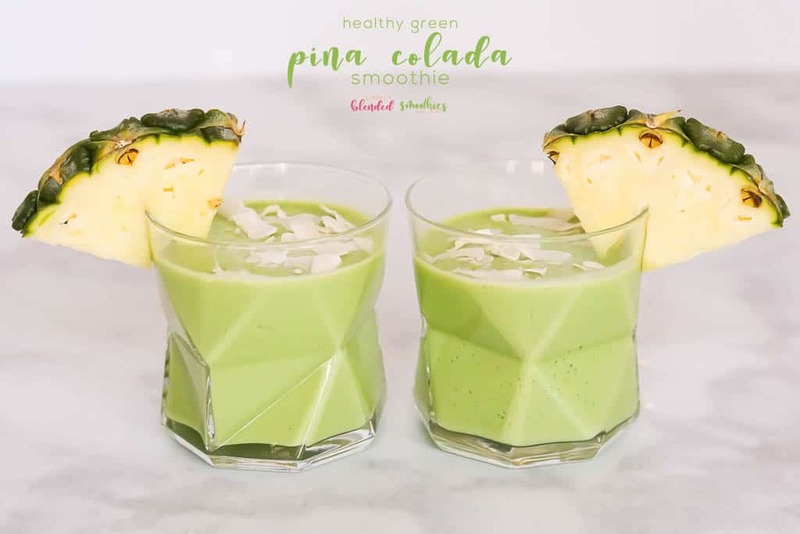 If you like Pina Coladas you will absolutely love this healthy Green Pina Colada Smoothie Recipe that I am sharing with you today! 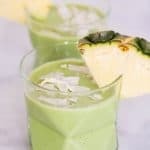 This Easy Spinach Smoothie Recipe is another favorite green smoothie recipe that I love, but when I want something that reminds me of my trip to Hawaii without all the calories, I reach for this green pina colada smoothie recipe! It is delicious, easy and oh-so-healthy even though it tastes like a treat! Keep reading on for the full recipe. 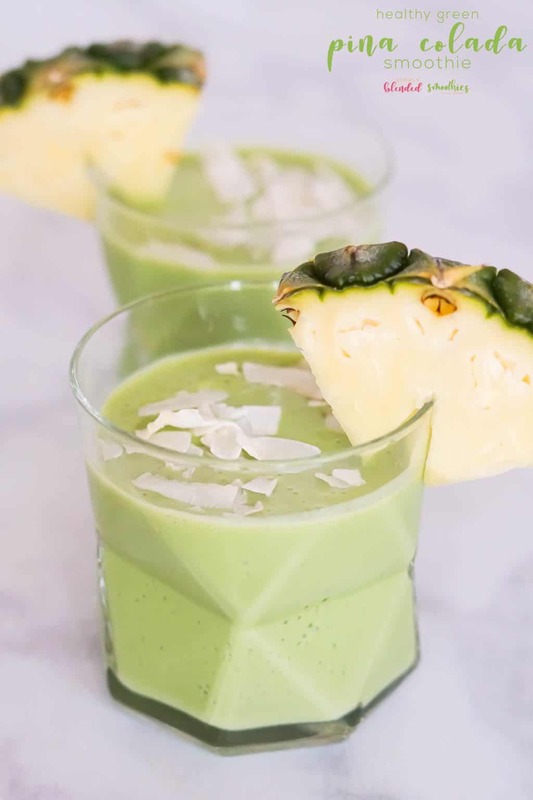 What makes this green pina colada smoothie recipe extra special is that it is made with so many super healthy ingredients. 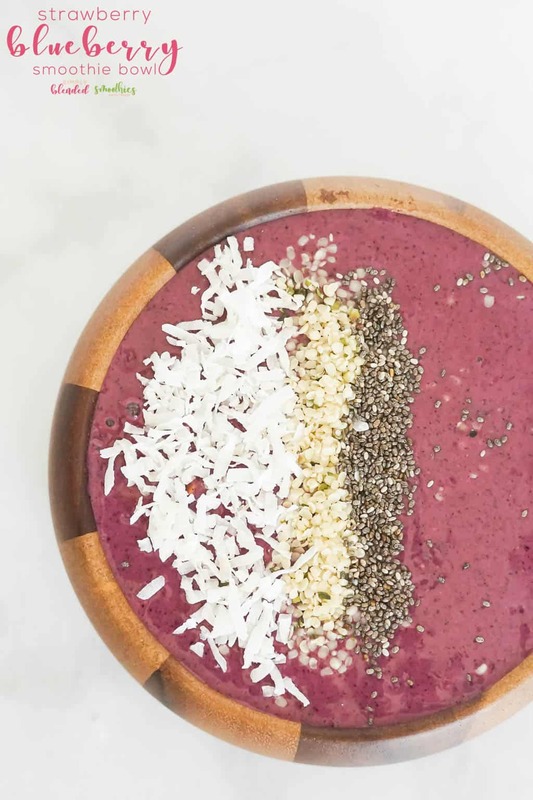 It may taste like a treat, but it is oh-so-good for you! So follow this recipe and you can thank me later when you fall in love with this recipe. It is that good. Is a Pina Colada healthy? 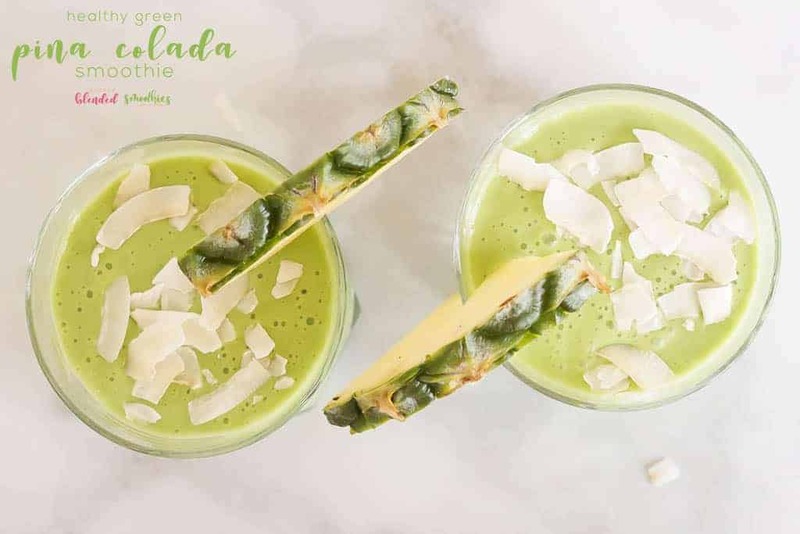 This pina colada smoothie recipe is extra healthy because it is packed full of leafy green spinach, fruit and coconut milk. But not all pina colada recipes are healthy, so watch your ingredients if you are looking for something healthier. 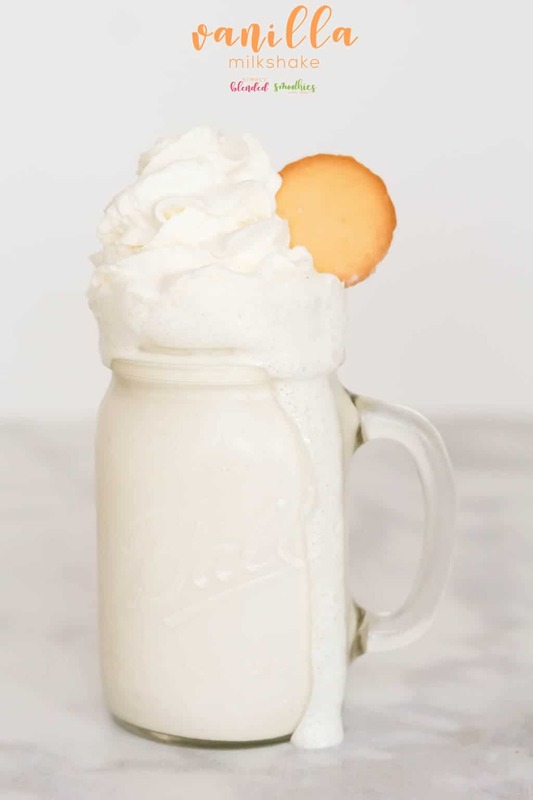 What is in a pina colada smoothie? 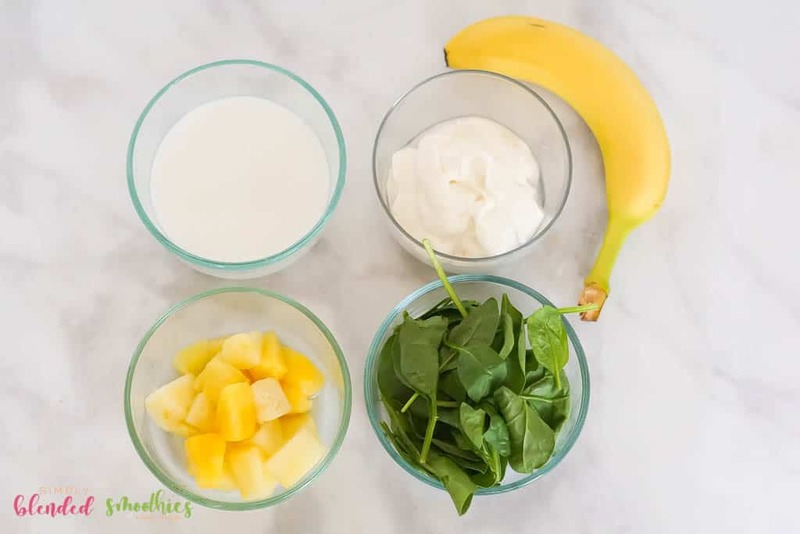 My pina colada smoothie has pineapple, banana, coconut yogurt, coconut milk and spinach in it! The best part is that you don’t taste the spinach, but it adds an extra punch of dark leafy vegetables into your diet with ZERO taste! 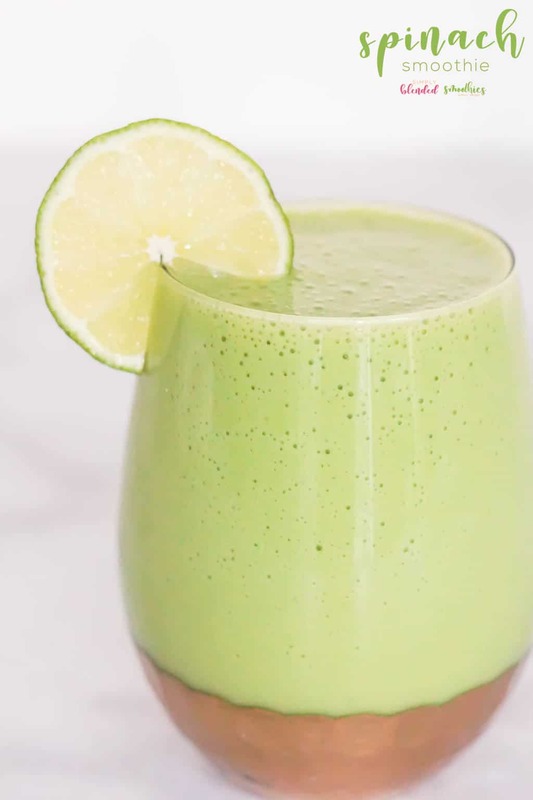 Does this green pina colada smoothie recipe have alcohol in it? Nope, it doesn’t have alcohol in it. I don’t drink alcohol and I never include it in my recipes. But I suppose you could if you wanted to. 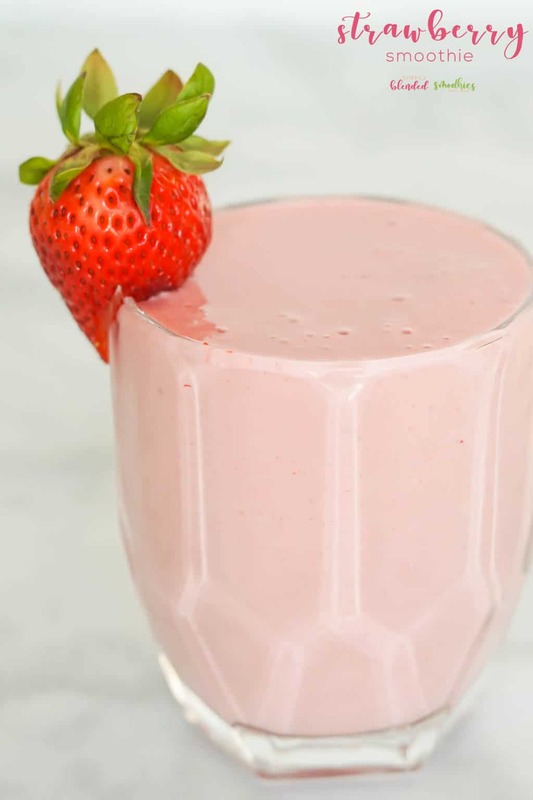 Just note that adding additional liquid to this recipe will make the smoothie thinner. 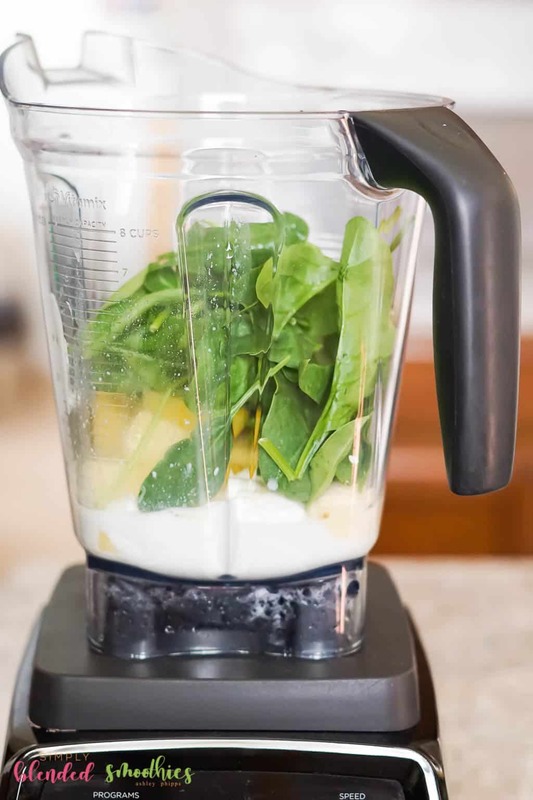 Adding ice cubes to your blender can help to thicken it back up if you need to. What do I use to make a smoothie? 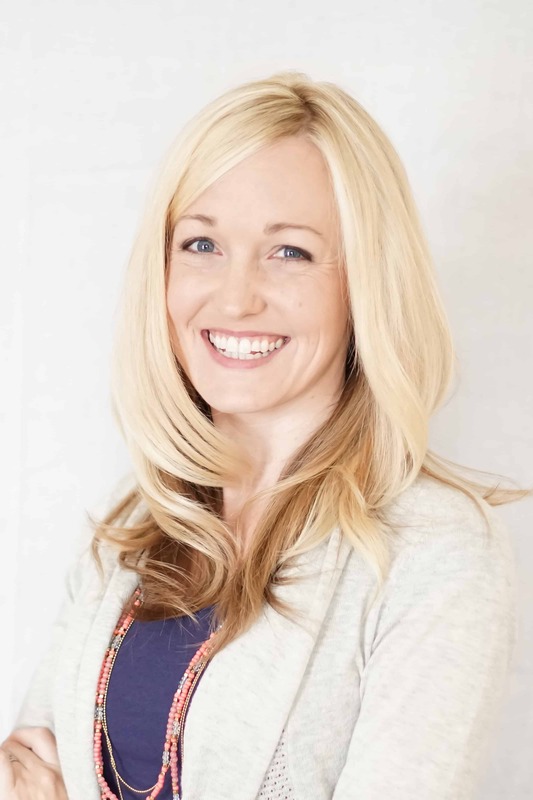 So are you ready for my green pina colada smoothie recipe? Ok. Let’s go! 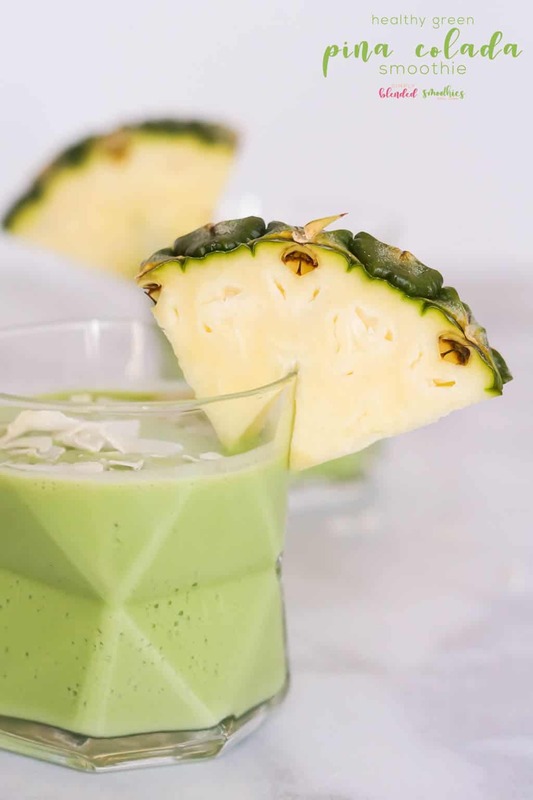 If you like Pina Coladas you will absolutely love this healthy Green Pina Colada Smoothie Recipe. It is healthy even though it tastes like a treat!